Enjoy the amazing benefits of essential oils! Everything you need to start enjoying all the amazing benefits of essential oils! 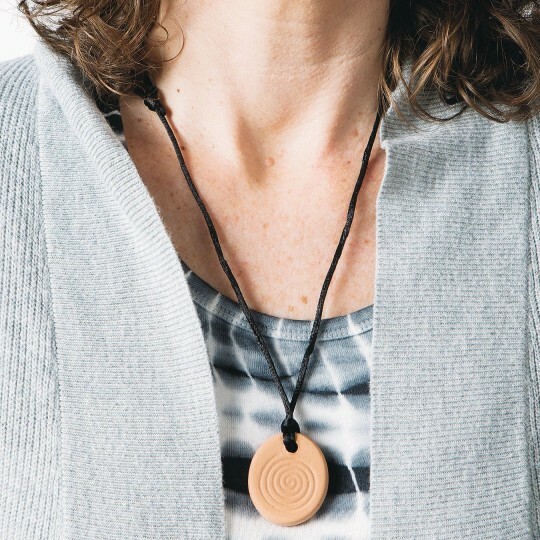 This great pack includes 3 beautiful terra cotta pendants featuring a gender neutral, calming swirl design and pack of the 3 different and the most important essential oils to get you through the ups and downs of everyday life. 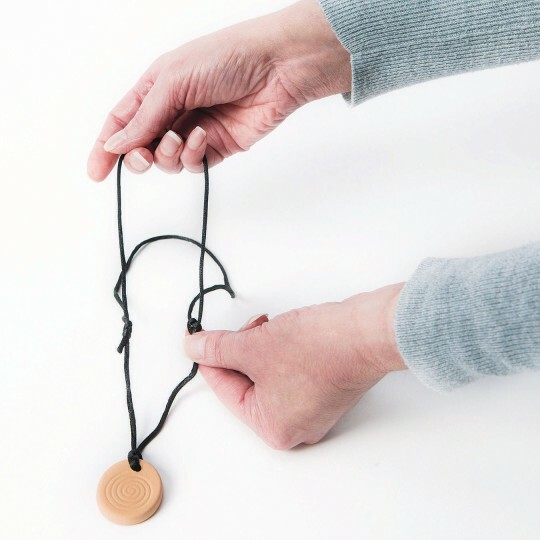 Each necklace features an adjustable 30”L black cord and a 1-1/4”W x 1-1/2”H x 1/4”D terra cotta pendant designed specifically to absorb and dispense your favorite scents. 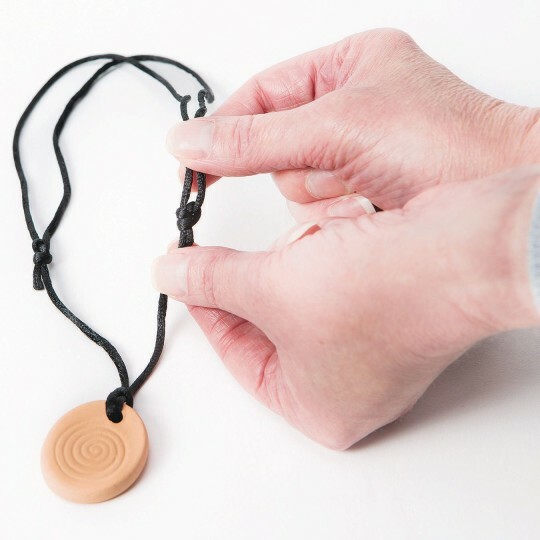 Simply place a drop of your favorite oil onto the porous pendant for the perfect balance of beauty and wellness. The pack of oils consist of Signature Blend (Tranquility), Lemon (Cleanse), and Peppermint (Refresh). The earthy aroma of vetiver in the Signature Blend oil eases the mind while the calming floral sweetness of lavender rounds off this tranquil blend. The light citrus and earthy undertones of the Lemon oil provide the perfect solution to freshen your space naturally. 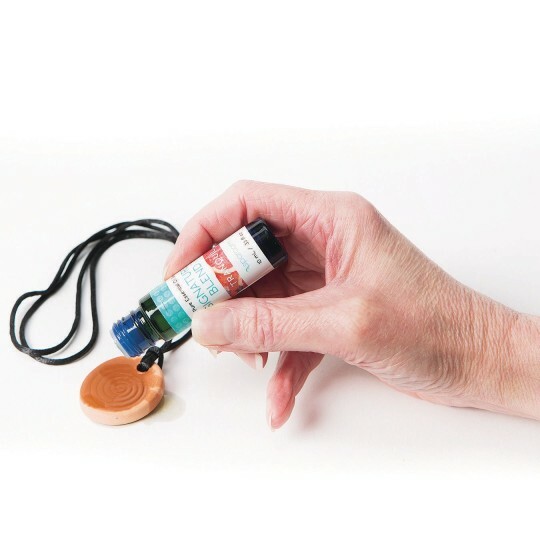 The Peppermint oil is potent, minty, and crisp to elicit a refreshing and cooling sensation. 10ml bottles. Certified natural.